Calibrated assurance that is trusted! Cold chain monitoring has evolved. Gone are the days of manual recording temperatures twice a day. 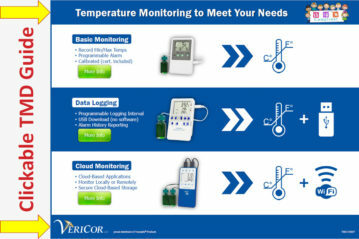 So when you can’t be there, or during your next audit, rely on one of VeriCor’s digital data logging devices. Click on any of the products below for more information. But if you need help finding the right solution, call 866-469-6019 or send an email to info@vericormed.com.